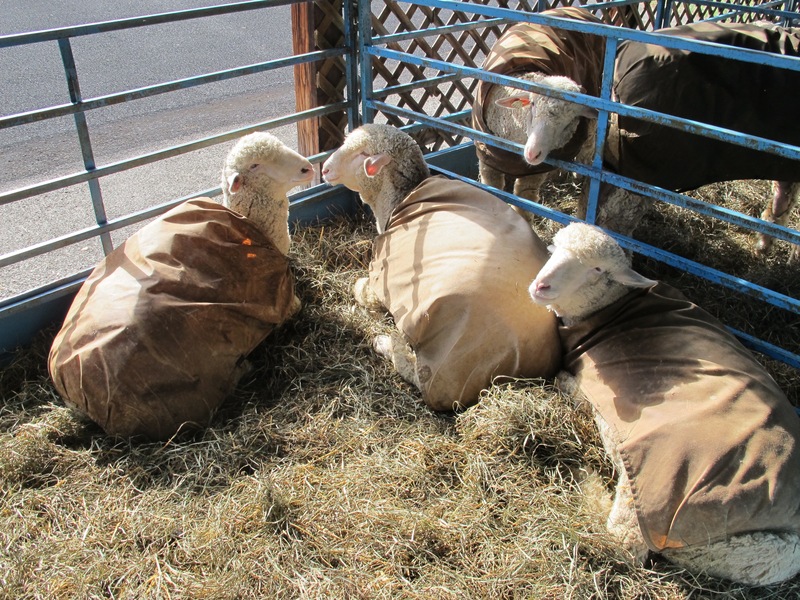 Sunday at Rhinebeck is a calmer affair. For one thing they don’t open the gates until 10 AM so visitors are forced to sleep in and relax before hitting the fairgrounds. We arrived just after 10 and cruised right in. The crowds were smaller, but still formidable. I had a list of some places I wanted to return to that I missed the day before. In addition we wanted to have a hot lunch before heading home, I wanted to get back to the book signing booth, and walk through one barn that I couldn’t even get close to the day before. Some of the smaller vendors, the one person shops, had sold a lot on Saturday and had very little left on Sunday. This is the hoped for occurrence. Some of the larger vendors put aside half of their merchandise for Sunday, but mostly if you didn’t get it on Saturday you were out of luck. 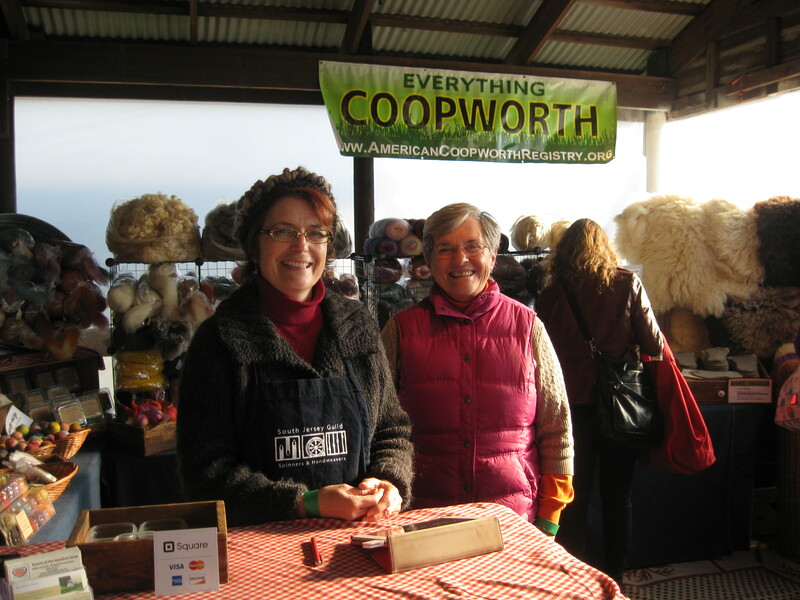 I stopped to chat with Kelly Corbett the owner and shepherdess at Romney Ridge Farm in Woolwich, Maine. I kid you not, that’s where she lives. Cool, huh! 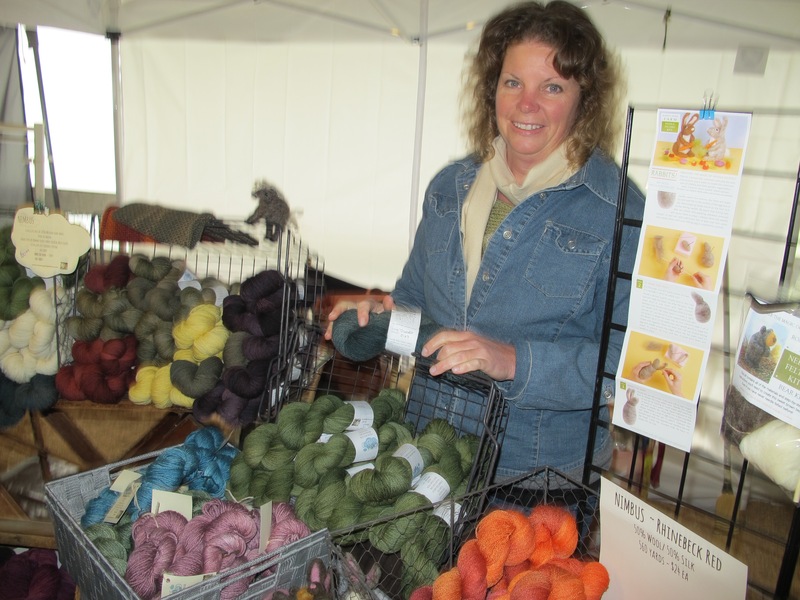 She lovingly cares for the sheep and goats on her farm who provide the fleece from which the yarn is made. I bought a skein of yarn from Kelly. The yarn, Romney with a small amount of mohair band has a paper band with a picture of the animals the yarn came from, a sheep named Handsome Mike and a goat named Polly. 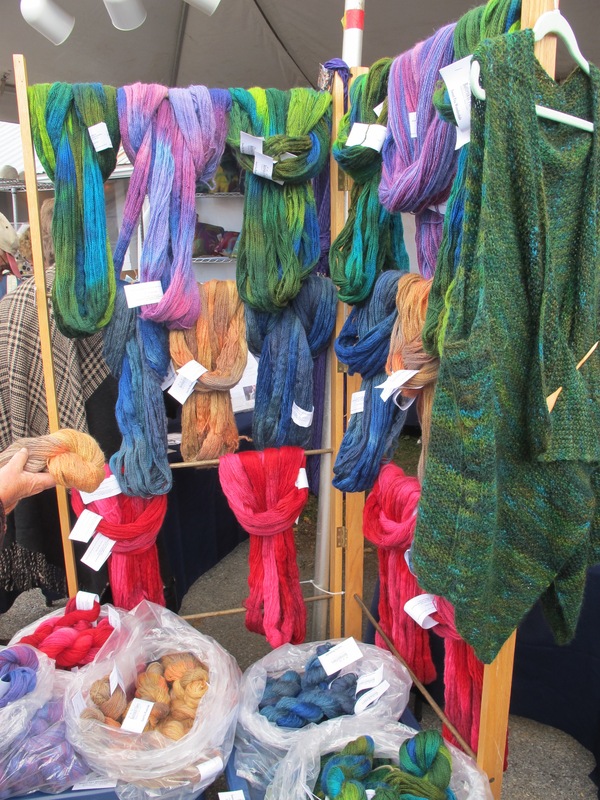 My husband wants me to make him a sweater out of the Romney wool, maybe to wear next year at Rhinebeck. I’m going to try it out on a smaller project first. Romney was the Fair breed this year so I really wanted to check it out. We enjoyed our chat with Kelly. We may go to Maine sometime in the future and stop by for a visit. 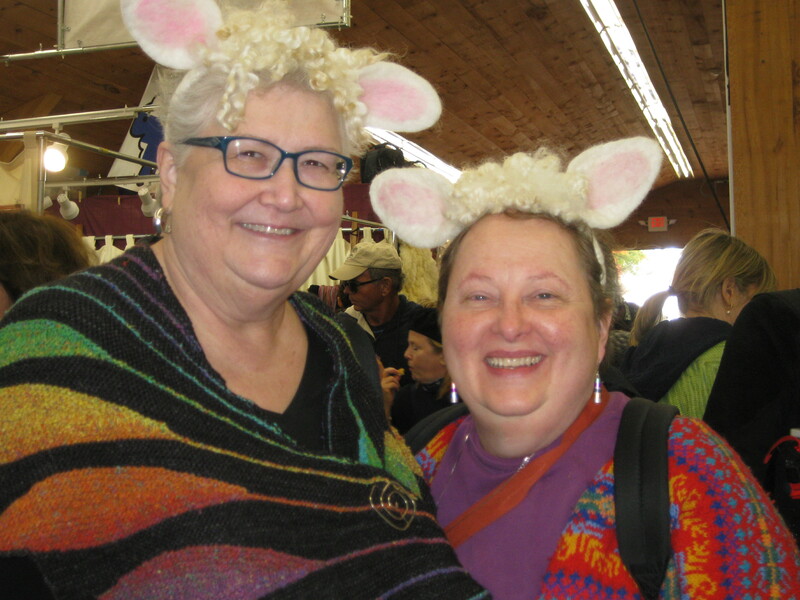 She also had kits to make cute little felted sheep and other critters. More about Romney Ridge Farm can be found at her website along with a pre-order for 2016 calendars, http://romneyridgefarm.com. After the weekend I came away with three new books, a handful of yarn, different kinds of cheese, two bottles of hot sauce, a jar of pasta sauce, and four donuts. While in the food barn we met the guy at Basil’s spoons. He has an incredible booth with every shape, size and type of spoon you could possibly need. 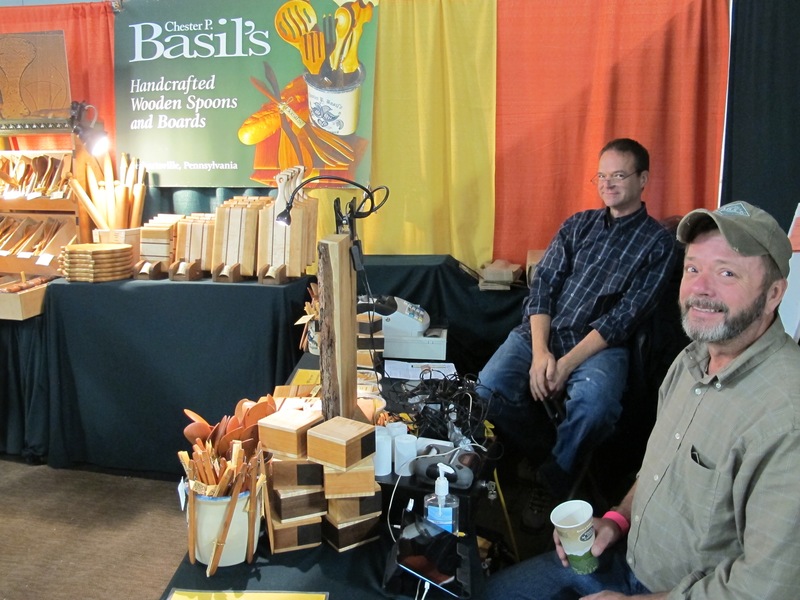 In addition he makes beautiful hand crafted cutting boards and spatulas. I really wanted to buy some spoons from him but couldn’t make a decision. 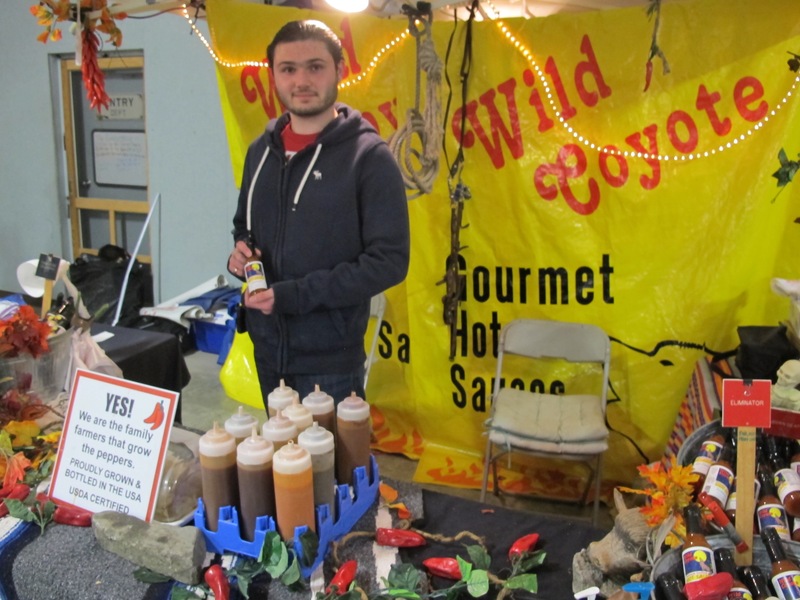 He told me he would be at the Kutztown craft festival next July, so we’ll try to see him there. We got our hot lunch and headed out after 1:00, ready to get out of the cold and with a feeling of euphoria. I was wearing four layers on Sunday: a long-sleeved shirt, a light sweater, a fleece pullover and a down vest. That and a hat, scarf and gloves completed my ensemble. We knew it was going to be cold, but we had no idea it was going to snow. For about ten minutes flakes of snow came down, completing a wonderful fibery weekend. Why do I enjoy Rhinebeck? 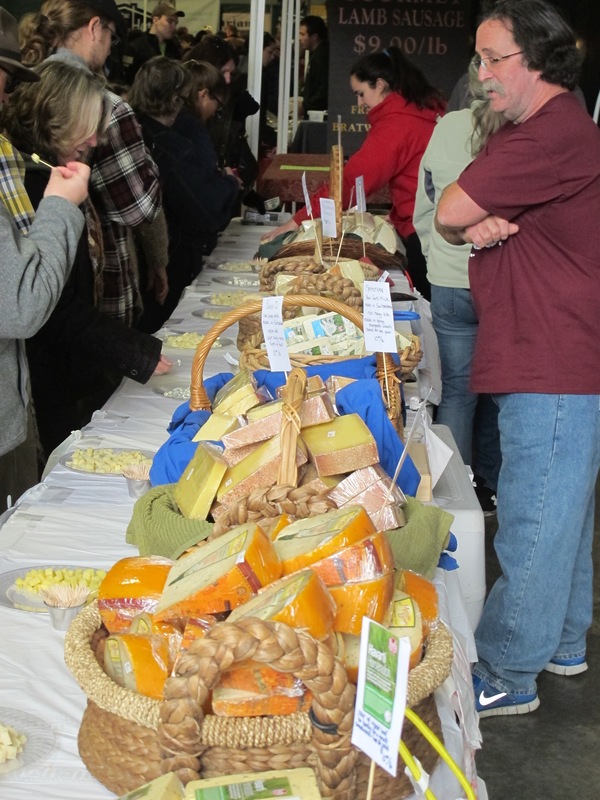 It’s an opportunity to be with thousands of others who get the same enjoyment out of the wonder that is fiber. No one judges me or rushes me or tells me I don’t need another skein of brown wool. Well, sometimes Larry does, but I ignore him. It’s like another pair of black shoes. Of course you need it! We met a lot of new friends and interesting people and learned about Romney, and Coopworth, and Corriedale and CVM. 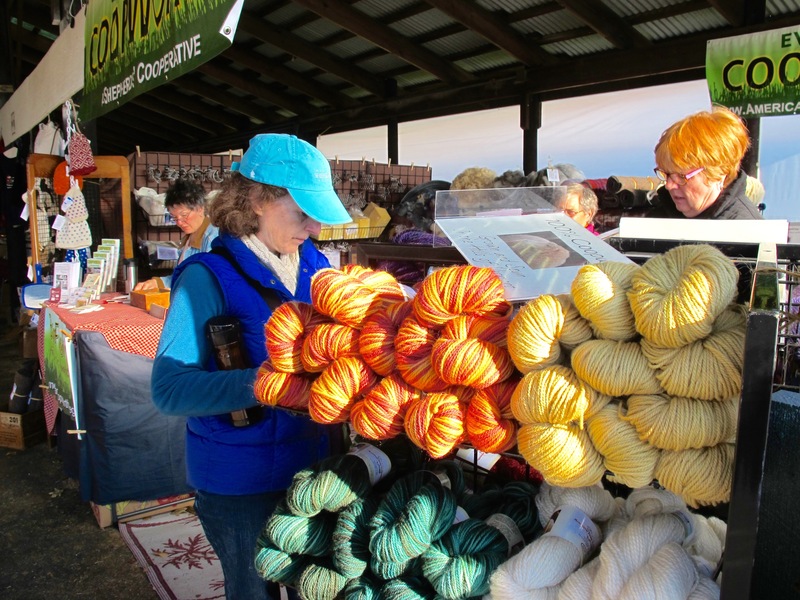 I now know the difference between worsted spun and woolen spun thanks to the folks at Harrisville. Oh, and Uma Thurman was there too, if you need celebrity draw. I didn’t see her, but I heard that others did. Apparently she is a fanatic about knitting as well. Thanks for sharing your photos. It looks like so much fun!! Hi Veronica. It was fun and almost too much to do and see.